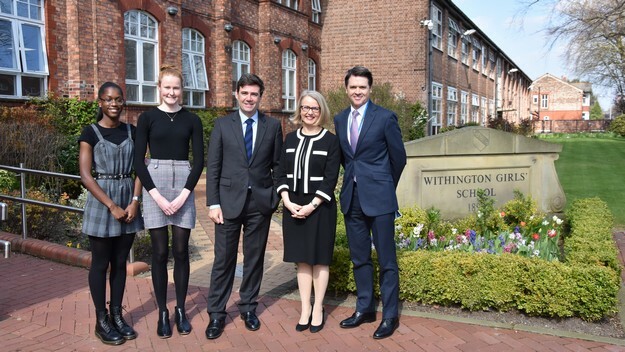 The Withington Curriculum is designed to suit the needs and abilities of our girls whilst also taking account of changes which take place nationally. We are not obliged to follow the National Curriculum but we do incorporate those elements which suit the abilities of our pupils. 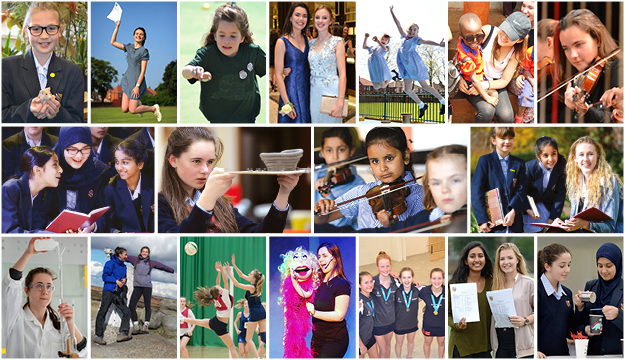 The Senior School selects on ability at age eleven and the curriculum is determined to a great extent by the academic profile and aspirations of our pupils. In Years 7-9, girls study a wide range of subjects. This is designed to provide them with a broad and balanced education and help them to discover their particular talents. 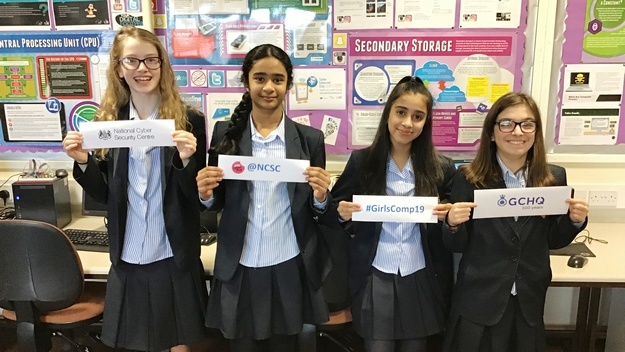 Girls continue with a core of compulsory subjects at Key Stage 4 and also opt for a selection of GCSE subjects. The curriculum is slightly more specialised and more time is devoted to the subjects of their choice. Balance is still important and girls are encouraged to choose subjects from a range of areas. In addition, each pupil chooses at the beginning of Year 7 which two Modern Foreign Languages she would like to study from a choice of French, German and Spanish. Girls attend most classes in their Form groups, though there are some exceptions. Sciences are taught in four groups, rather than three forms. There is no setting by ability; the smaller groups are simply to allow greater access and safety when conducting experiments. Other practical subjects also benefit from being taught in smaller groups: Design Technology and Food & Textiles are taught in half-forms, as is Music in Year 9. The girls have 40 lessons per week. Some subjects are taught as double lessons to allow sufficient time for practical work or further development of ideas. The learning of languages, however, is facilitated by frequent exposure so they are generally taught in single periods. Subjects marked with an asterisk are taught as half-form groups or smaller groups. Subjects marked with a diamond are taught as double periods. The Lower Fifth is a very important year in the academic development of the girls. Towards the end of the Upper Fourth they choose which subjects they wish to study as GCSEs and they continue with these subjects for the next two years. Pupils currently take nine or ten GCSEs at the end of Upper Fifth, depending on whether they are entered for the Further Maths GCSE. Some subjects are still compulsory during these years. All girls study English and English Literature, Mathematics and either Double Award Science or the three Separate Sciences. 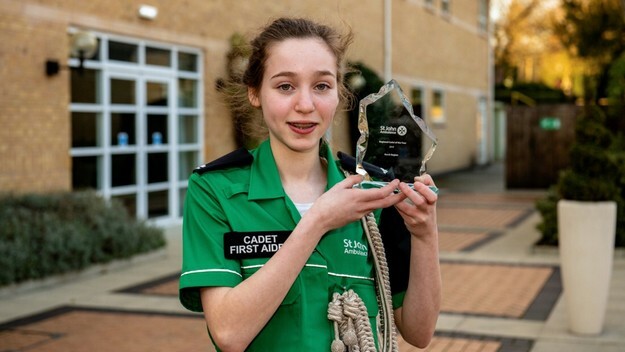 If a pupil opts for Double Award Science, she will have three periods each of Biology, Chemistry and Physics; girls who have chosen to study the separate sciences will have four periods each of Biology, Chemistry and Physics. 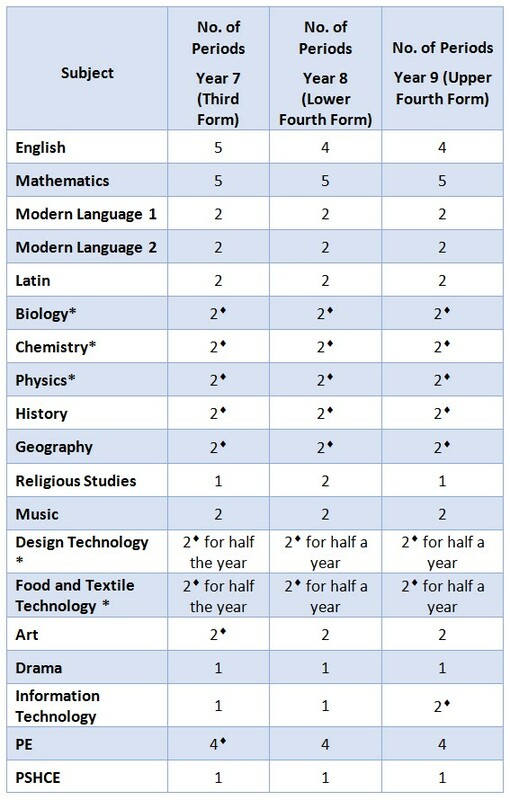 All other GCSE subjects are allocated four periods per week, except Maths, which has five per week. Every pupil is expected to choose at least one modern foreign language among their options. In addition, all pupils have a timetabled PSHCE lesson which is used to discuss various issues and also allows some time for careers guidance. Year groups are split into four classes of around 20 students in English and Maths. There is no setting in English but Maths groups are arranged according to the girls’ level of attainment so far so that teaching and support can be better targeted. Science groups depend on how many girls choose separate Sciences and how many choose Double Award; there are at least four groups across the year and often five, allowing for more individual attention in class. All girls have some timetabled PE lessons although the actual number of periods varies because of the difference between the allocations required for Double Award and separate Sciences. Those girls who have a more generous provision of PE are able to take a general, non-examined course in Religion and Philosophy in place of one of the PE lessons. Girls who have elected to study three separate Sciences may choose three other GCSE subjects to study, whilst girls studying Double Award Science may choose four other GCSE subjects. The subjects available to study will depend on the choices made by the girls, but every attempt is made to accommodate all the girls’ preferences and in most years, over 99% of the girls options are able to be accommodated.